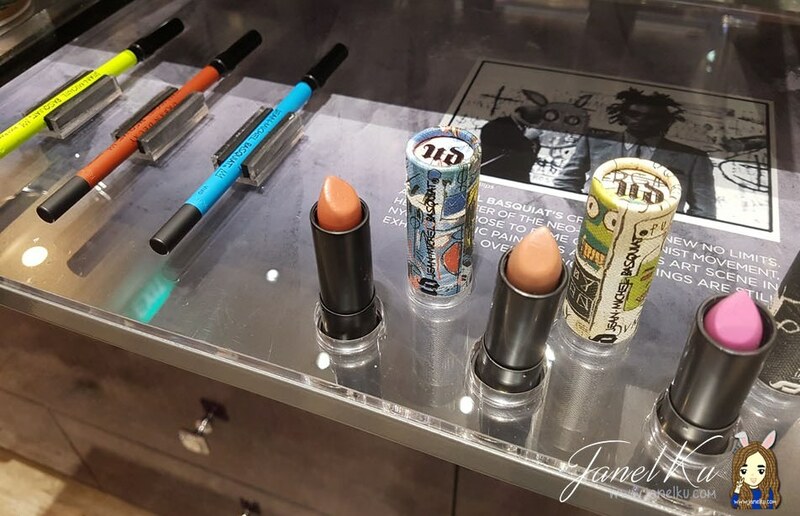 Urban Decay x Jean-Michel Basquiat: Love their lipsticks! 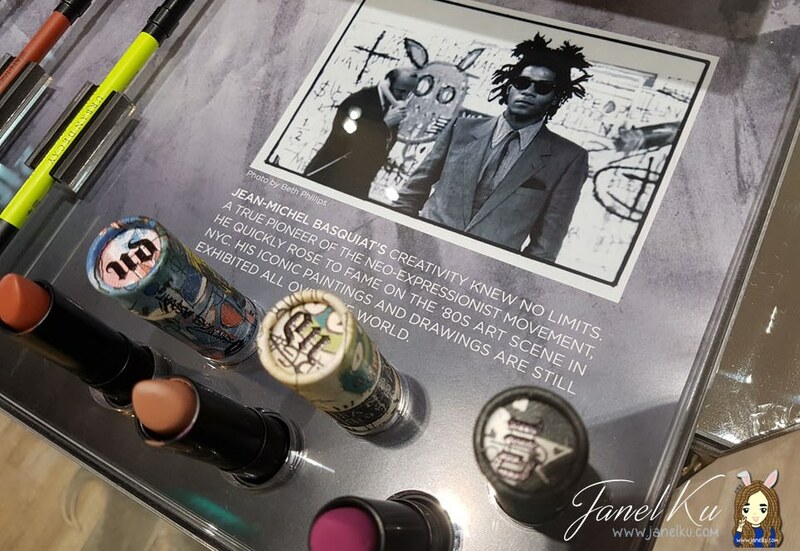 Urban Decay just launched a makeup collection inspired by Jean Michel Basquiat. This is exclusive in their Urban Decay stores only, so girls, get your hands on them quickly because I heard stocks are extremely limited! 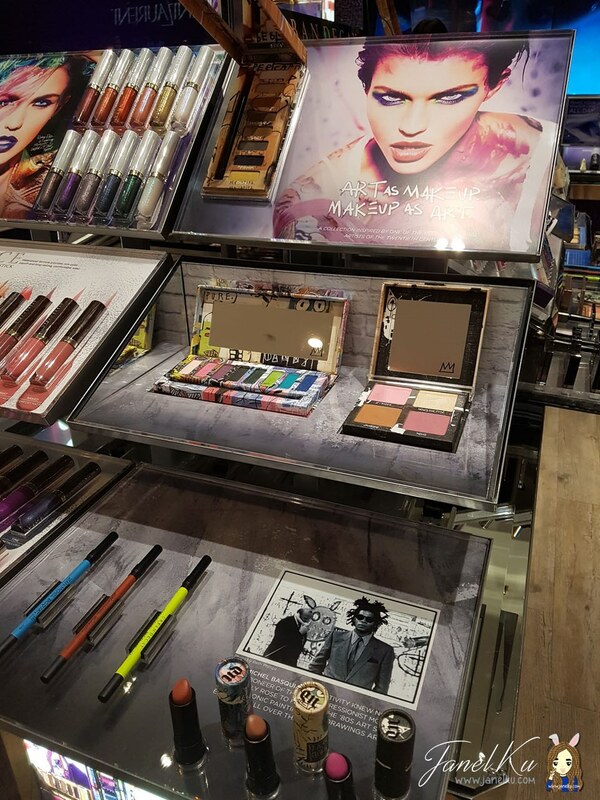 The collection features a eyeshadow palette, blush palatte, 3 shades of lipsticks, 3 shades of glide-on eye pencils and 3 cosmetic bags with his artworks imprinted on them. 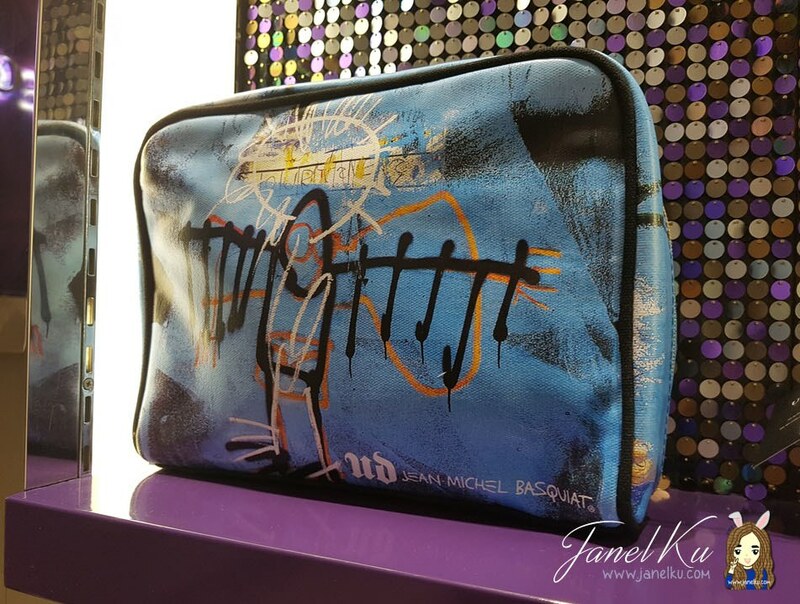 The collection is befitting of an artist's - especially developed for Jean-Michel Basquiat's work because of the loud and graphic nature of his work - graffiti, street art style. 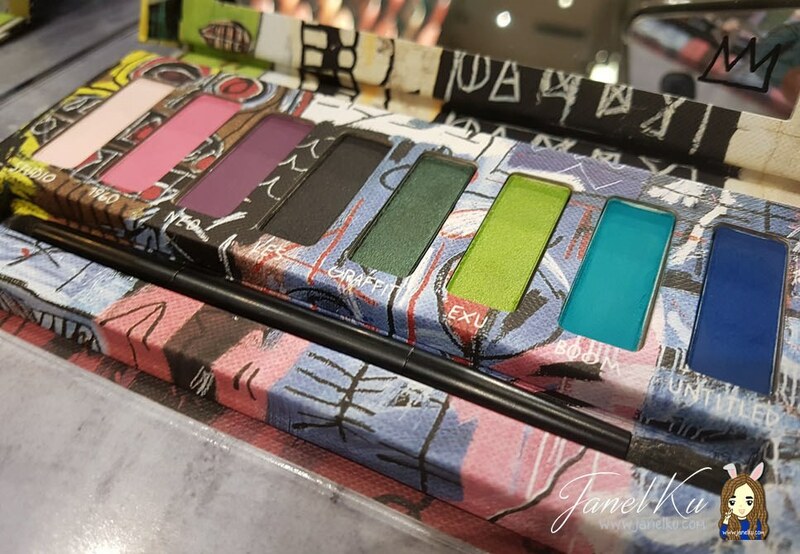 I'm guessing this explains the loud colours which can be found on UD products such as the Tenant Eyeshadow Palette ($62) and the Jean-Michel Basquiat 24/7 Glide-On Eye Pencil ($32 each). The eye pencils are successfully made to resemble art pencils and the eyeshadow palette has such rich, blendable and loud colours you can boast of. 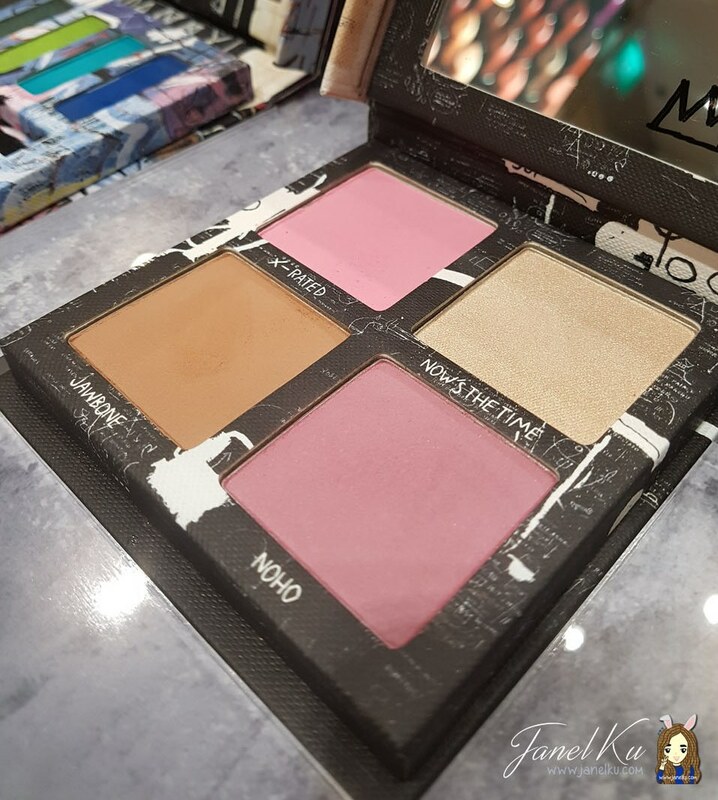 I also really liked the Gallery Blush Palette ($52) which has versatile shades and I'm liking one of them especially - the 'Now's the Time' shade which works like a highlighter - brush them across the apples of your cheek after applying the blush and just watch your cheeks light up pretty under the lights. 3 exclusive shades to choose from: Abstract, Epigram and Exhibition. Each at $29. The lipsticks are creamy and well pigmented, as with the other UD lipsticks, so I've totally no regret purchasing it. 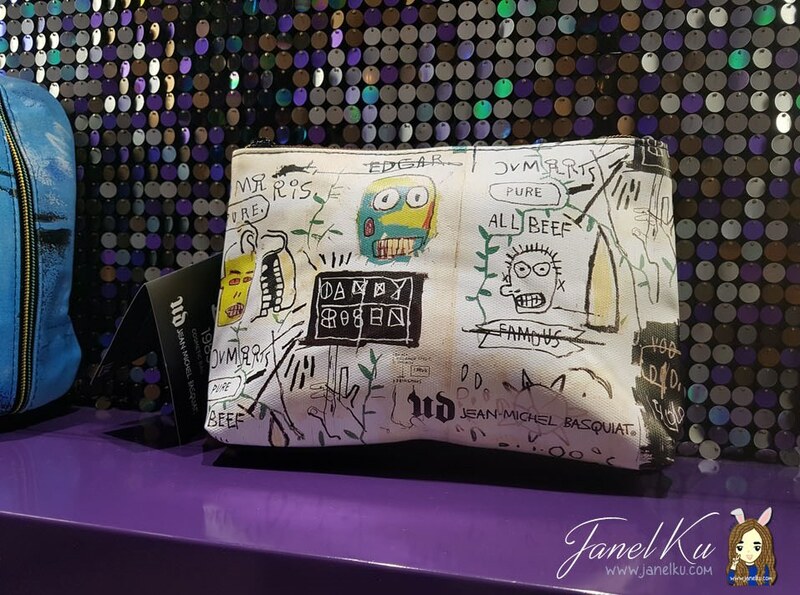 You can also purchase 3 unique cosmetic bags adorned with the artist's artwork, starting from $30 for the cheapest one. The colour I got was Epigram, and I'm totally lovin' the colour, which resembles a little bit of a darker, burnt red with a tinge of orange to it. Lovely, totally lovely. Very happy to also have it in the limited edition Jean Michel Basquiat artwork imprinted on the lipsticks. The only gripe I have of the lipstick is that it doesn't open very easily, because of the sheer design of the lipstick which leaves a narrow room at the bottom. Only after a while, did I have it figured out. Always have to remember to twist it and then pull. Twist and pull, that's the only way the lipstick cover's gonna come off. I got mine from the UD at Vivocity. If you already know what you want but have no time to get it, you can give the store a call first and get them to reserve it for you first.